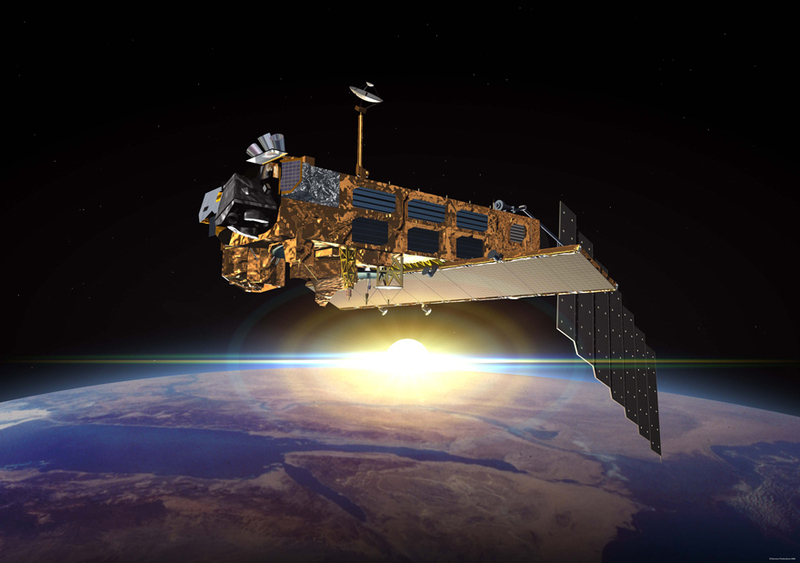 Earth observation satellite Envisat, launched in 2002, was equipped with nine separate instruments to gather information on the atmosphere, ocean, land, and ice. Envisat was equipped with an extremely large solar array, developed by Airbus Defence and Space Netherlands. In March 2002, the European Space Agency launched Envisat, an advanced polar-orbiting Earth observation satellite which provides measurements of the atmosphere, ocean, land, and ice. It was the largest Earth observation spacecraft ever built. Airbus Defence and Space Netherlands was responsible for the flatpack solar array and was involved in the development of two of the nine instruments aboard of the Envisat: Mipas and Sciamachy. The flatpack solar array design was suitable for the large size of the Envisat satellite. The panels were extra thin so that they would take up less space during the launch. 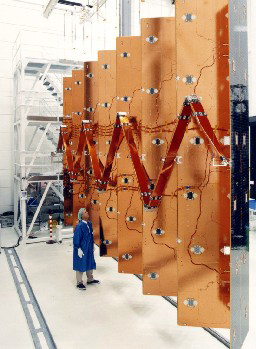 The satellite was equipped with a huge, single ‘wing’ of fourteen panels, each measuring 1x5m. The silicon solar cells provided a combined power output of at least 6,500 watts until the end of the originally planned five-year life of the satellite. With the mission coming to an end in 2012, Envisat doubled its predicted lifetime. The complete list of instruments aboard the Envisat: ASAR (Advanced Synthetic Aperture Radar), MERIS (MEdium Resolution Imaging Spectrometer), AATSR (Advanced Along Track Scanning Radiometer), RA-2 (Radar Altimeter 2), MWR (Microwave Radiometer), DORIS (Doppler Orbitography and Radiopositioning Integrated by Satellite), GOMOS (Global Ozone Monitoring by Occultation of Stars), MIPAS (Michelson Interferometer for Passive Atmospheric Sounding), SCIAMACHY (SCanning Imaging Absorption SpectroMeter for Atmospheric CHartographY).